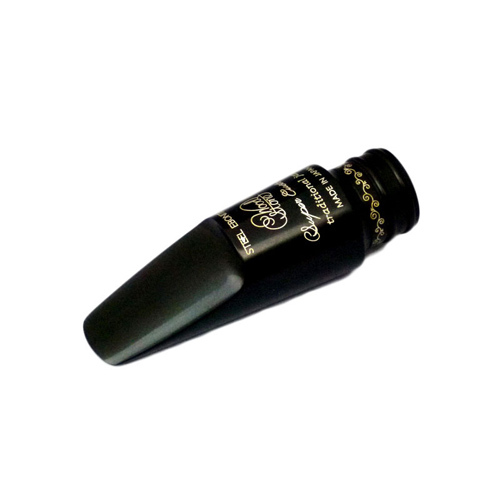 This Japanese made mouthpiece is carefully modeled on the vintage Meyer Alto mouthpieces. Designed and produced by highly skilled craftsmen the Wood Stone quality is second to none and the carefully selected ebonite offers a responsive, pure and beautiful tone. The medium chamber offers the best all round option with enough punch and equally enough warmth. Suitable for any player wanting that classic vintage Meyer sound but with the consistency of a modern piece. This mouthpiece would be great in any Jazz, Funk, Blues, Contemporary etc setting. Tip opening sizes are comparable with Meyer. Made in Japan by highly skilled artisans. Carefully crafted and balanced to exacting measures. Based on the classic Meyer vintage models of the NY period.